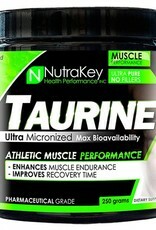 Nutrakey NutraKey:Taurine - Athletes Nutrition Inc.
A popular ingredient in most energy drinks and the 2nd most abundant amino acid in the body after glutamine, taurine is mostly found in the brain, heart and bloodstream where it functions as a powerful antioxidant and supports both mental and athletic performance.2,4,5 As a conditional amino acid, taurine can be produced in small amounts by the body, but is largely derived from food sources like meat, fish, and supplementation. While many of the specific actions of taurine have yet to be fully uncovered, decades of safe usage and numerous studies support the benefits of supplementation. So no matter if you’re running a marathon, lifting heavy, or doing some late night work, taurine is a must-have for getting the most out of your mind and body. 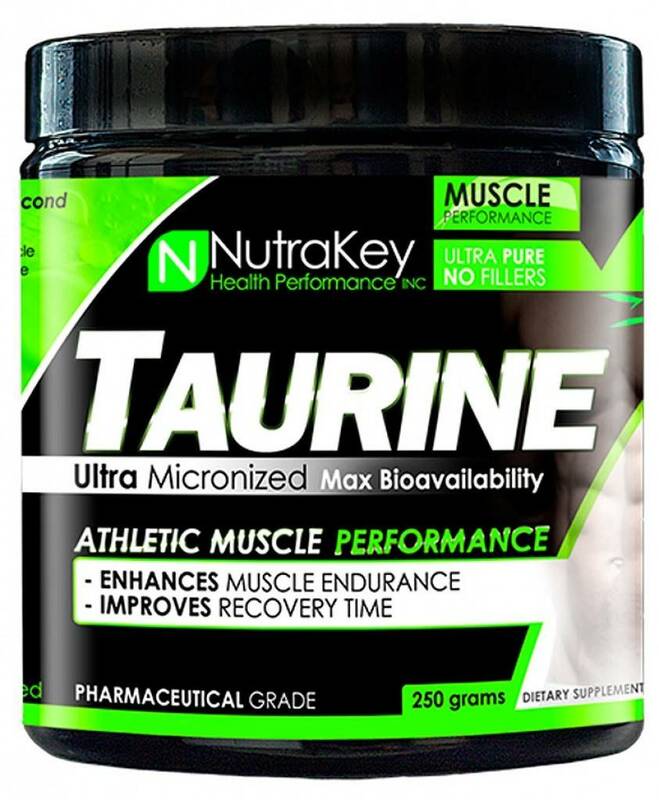 NutraKey’s Taurine has been ultra-micronized for maximum absorption and bioavailability – which means that more taurine is available for your body to use.